Not just for the birds ! 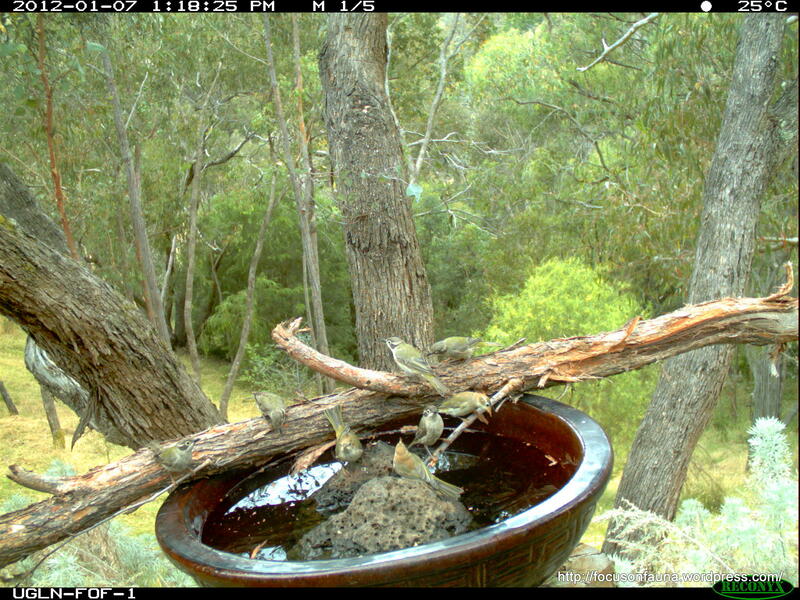 Following our recent post on bird baths (click HERE to view), a pair of enthusiastic landholders at Flowerdale modified the bird bath in their garden and set up one of our remote cameras to see who was using it. Not only were a total of 14 bird species recorded drinking and bathing, including this delightful group of Brown-headed Honeyeaters, but both Common Ringtail and Common Brushtail Possums used the bath, as well as a Black Rat and House Mouse. The videos may take a few moments to load.